Here at Home Design Find we like to find and highlight unique and interesting products. In our searching we often run across we items we consider our favorites of the product field, here is our homage to the top 10 fireplaces we have run across. 1. Coming in at number one is the gorgeous Magritte, by MCZ. 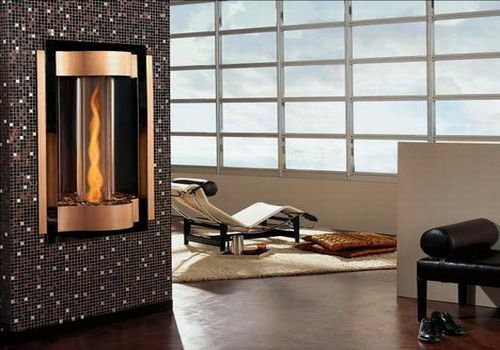 It’s sleek modern design boasts one amazing fire. Sure makes us feel all warm and fuzzy . 2. Number two in our countdown is the Canyon Hearthfall. It combines two relaxing qualities, waterfalls and fire ensuring complete relaxation. 3. 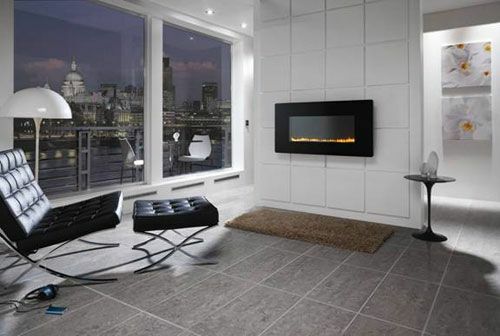 Our third fireplace stunner is the vauni ethanol fireplace, designed by Markus Grip. It has an exquisite out of this world pod feeling to it, and it swivels, what’s not to love. 4. Have Fire will Travel. That’s our number 4 pick, the Travelmate Mobile Fireplace. 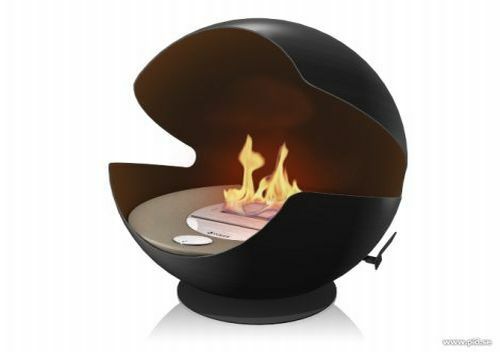 The Travelmate can be placed just about anywhere and uses a smokeless fire technology. Incredible! 5. 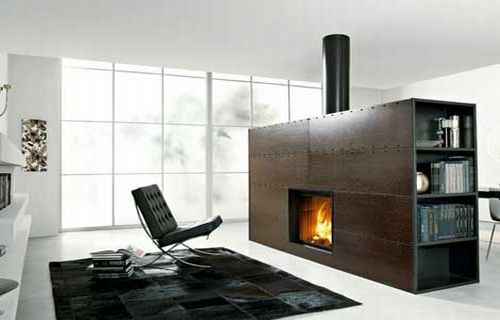 The Vogue wood stove by Austroflam comes in at number 5 on our list. 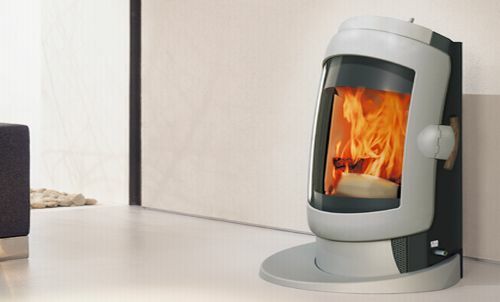 A heater stove design with a double-bend glass pane, creates quite an illusion of an open flame. 6. Our number 6 fireplace is a breath-taker. 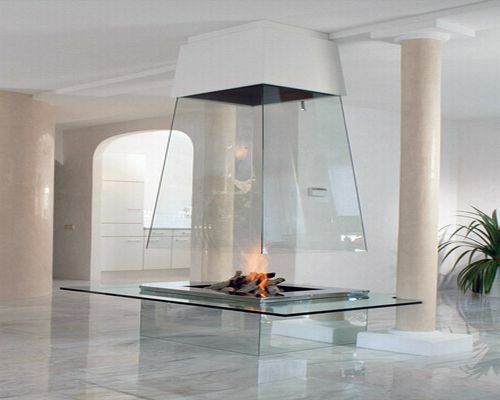 It’s the Glass Fireplace by Bloch-Design. It resembles an open pit fire in the house. With a protective glass enclosure to choose from, it’s one mesmerizing fireplace. 7. The Filiofocus made it into our countdown for good reason. Winner of varouis medals and design competition, this fireplace is worthy of our praise. 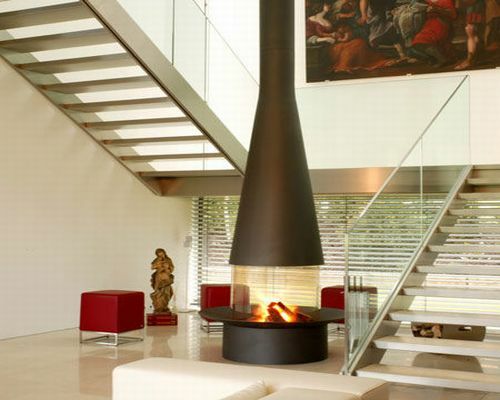 Made with a telescopic hood this fireplace is calming and magnificent. 8. 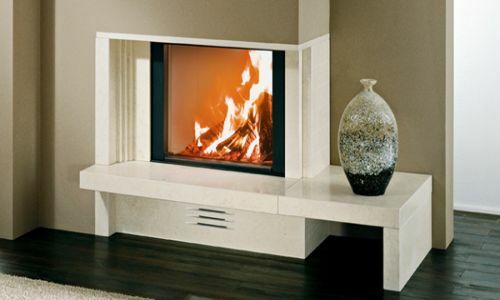 The 8th fireplaces on our list are the Modern Fireplaces from Edilkamin. They are available in different finishes, colors and materials. The beautifully large fireplace creates a room all it’s own. 9. With a name like Cyclone, how could it not make it into our favorites. HeatnGlo describes the Cyclone as “Fire Art”. What a lovely description . It is small enough to fit into all your smaller areas and stunning enough to make that area look amazing. 10. 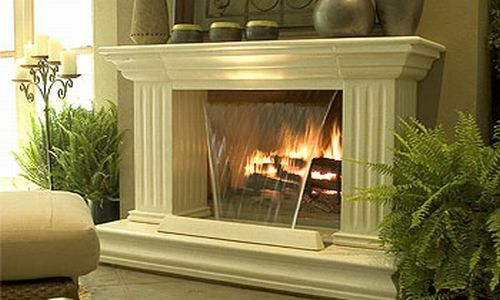 The finals on our list are the catalytic vent-free fireplaces by Lennox Hearth. The Radium and Scandium may just have your guest sitting down to watch some TV in front of it . These sleek fireplaces create the illusion of a Flat TV hanging on the wall and are just as easily installed anywhere you have a gas line. Those are our favorite fireplaces we have found. Keep an eye out for more of our favorites as we continue bringing you more beautiful and unique products. This entry was posted on Thursday, May 1st, 2008 by HDF and is filed under HDF Favs, Interiors. You can follow any responses to this entry through the RSS 2.0 feed. You can leave a comment. Please send info on canyon Hearthfall Fireplace. What about Spark Modern Fires and their range of contemporary fire ribbons (sparkfires.com)? There's also the fireorb (fireorb.net). These products should definitely should be in your list!